We’d love your help. Let us know what’s wrong with this preview of My Salinger Year by Joanna Rakoff. At twenty-three, after leaving graduate school to pursue her dreams of becoming a poet, Joanna Rakoff moves to New York City and Poignant, keenly observed, and irresistibly funny: a memoir about literary New York in the late nineties, a pre-digital world on the cusp of vanishing, where a young woman finds herself entangled with one of the last great figures of the century. To ask other readers questions about My Salinger Year, please sign up. Aeroman380 I read it on ebook from my library on overdrive. If I had a category for Most Charming Read of the Year, there would be one entrant for 2014: My Salinger Year, Joanna Rakoff’s blithe memoir of her tenure at the Agency, the arch moniker she gives to Harold Ober Associates—one of Manhattan’s most venerable literary agencies. I know, I know: the year still has many months and reads ahead, but I’m calling this one right now. 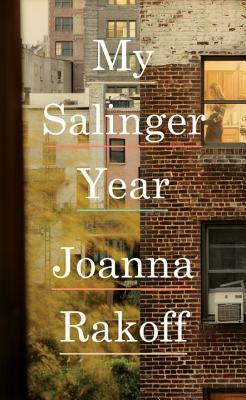 My Salinger Year shimmers with Wilt Stillman Bright Young Things, and it's imbued with a Woody Allenesque-patina that warms If I had a category for Most Charming Read of the Year, there would be one entrant for 2014: My Salinger Year, Joanna Rakoff’s blithe memoir of her tenure at the Agency, the arch moniker she gives to Harold Ober Associates—one of Manhattan’s most venerable literary agencies. I know, I know: the year still has many months and reads ahead, but I’m calling this one right now. My Salinger Year shimmers with Wilt Stillman Bright Young Things, and it's imbued with a Woody Allenesque-patina that warms the city’s brownstones until they glow with autumn light or sparkle with the diamonds of freshly-fallen snow. The year is 1996 and Rakoff, fresh from completing a Master’s degree in English in the U.K., needs a job. She really doesn’t need a boyfriend, but she finds lover and employment in quick succession. The latter becomes her entrée into the New York literary scene. The former, a struggling novelist, informs her emotional and artistic development, and breaks her heart more times than he's worth. Which is, as it happens, not much. Although the coming revolution of digital publishing and e-readers is a mere ten years away, the Agency doesn’t possess a single computer and has only recently acquired a photocopier. Rakoff, hired as an assistant to the Agency’s president—to whom she refers only as “my boss”—types dictation on an IBM Selectric, Dictaphone headphones planted on her head, her feet working the Dictaphone pedals beneath the desk. Correspondence is done via the postal service. There are telephones of course, but no one has voicemail. If anyone calls after hours, the office phones simply ring and ring, echoing down the dimly lit hallways lined with plush carpet. Enter Jerry, the Agency's most celebrated client. And if the Agency's president doesn't step up her game, he might be the last client standing. Delivering a breathless scene with a comic's sense of timing, Rakoff meets another famous client, Judy Blume. Just the one time. Judy, along with a steady stream of other writers, quits the Agency to seek representation where the 21st century is acknowledged as a done deal. Jerry is, of course, J.D. Salinger. A writer whom Joanna Rakoff, budding writer herself, has never read. Jerry, hard of hearing, reclusive, and endearing, has expressed interest in having his long short story, Hapworth 16, 1924—which first appeared in The New Yorker in 1965— published as a novel by a tiny press in Virginia. For eight months, Rakoff resists reading Salinger, certain his lionized status is hyperbole and his writing trite. But she becomes immediately fascinated by the enormous volume of fan mail the author continues to receive, thirty years after his last publication. It is her job to inform each correspondent that the Agency, per Mr. Salinger's directions, cannot forward the letter to the author or respond to any requests. When she finally does read Salinger, it is in a revelatory binge. That weekend of Salinger sets the tone for the brief time that she remains at the Agency, but it also leads her to finding her writing voice. The interactions with J.D. Salinger and the near-farcical subplot of the reissue of Hapworth ground the story in the disappearing age of traditional publishing, when a few elite readers determined what the rest of us would be checking out from our public libraries, or purchasing from the rapidly-vanishing independent bookstores, or once-were-giants Borders and Barnes & Noble. But at its tender heart, My Salinger Year is the coming of age tale of a young woman and writer and an ode to being young and sort-of single in New York, living in an unheated apartment in Williamsburg and taking the subway to Madison Avenue to talk in plummy, tweedy tones with other underpaid literati. It is a gloriously, unabashedly nostalgic memoir and yes, utterly charming. Rakoff's writing is breezy and self-effacing, completely in character with the twenty-three-year-old woman who recounts this seminal year. Only an accomplished and confident writer could manage to sustain that tone with authenticity. Joanna Rakoff enchants readers with an elegant memoir that reads like a curl-up-with-a-cuppa novel. She's just won a new admirer. I'm rating this book 5 stars well-aware that this book is not for everyone, which actually makes it a weird 5 stars for me. It is a very simple book, and I'm sure that not everyone is going to love its simplicity as much as I did. However, I always review books based on how I personally feel about them, and this one was perfection in my eyes. This is a fictional piece of work based on facts. It's about Joanna Rakoff who, as a 24-year-old, obtains a job in New York at a literary agency. With time I'm rating this book 5 stars well-aware that this book is not for everyone, which actually makes it a weird 5 stars for me. It is a very simple book, and I'm sure that not everyone is going to love its simplicity as much as I did. However, I always review books based on how I personally feel about them, and this one was perfection in my eyes. This is a fictional piece of work based on facts. It's about Joanna Rakoff who, as a 24-year-old, obtains a job in New York at a literary agency. With time, she realizes that this agency covers the infamous J. D. Salinger, and with time, Rakoff gets more and more into his works and his life while she gradually learns about the publishing world and writing books. As I said, this story is very simple. It appealed to me, nevertheless, because I'm a huge fan of The Catcher in the Rye by J. D. Salinger, and this book gave me a lot of information on that book as well as on Salinger's life and personality. This information mingles with Rakoff's own life in a magical way I can't really explain, and it's based on the truth! This book allowed for me to revisit Salinger's universe but with a different set of reading glasses. Everything is told from Rakoff's perspective, and it becomes a book both about Salinger, but also about Rakoff's own life, insecurities and her growing up. A fun and light hearted read about Joanna, who leaves her degree program and her college boyfriend, and finds a job with a literary agent. Simply called "The Agency, this is the agency that represents Salinger. Although she expects to find herself busy reading manuscripts, she instead finds herself typing letters on a typewriter and answering phones. Although this is the mid nineties, the office, or least her boss, defies technological advances in favor of the archaic way the agency has always r A fun and light hearted read about Joanna, who leaves her degree program and her college boyfriend, and finds a job with a literary agent. Simply called "The Agency, this is the agency that represents Salinger. Although she expects to find herself busy reading manuscripts, she instead finds herself typing letters on a typewriter and answering phones. Although this is the mid nineties, the office, or least her boss, defies technological advances in favor of the archaic way the agency has always run. It is amusing to read how delighted they are when a copier is finally delivered and they no longer need to use carbon paper. She also finds and moves in with a new boyfriend, a pseudo intellectual, trying to write his own novel. I call him the worm, and that is a generous label. I enjoyed reading about the workings, behind the scenes interplay between agents and writers. Eventually Joanna is given the letters written to Salinger by fans and told to send them a form letter in reply. Joanna will soon take I upon herself to do more than that. Salinger does make a brief appearance, but most of what we learn about him are from those letters and the phone calls he makes to her boos. Vivid, precise, utterly absorbing. I was reading this as I made my son scrambled eggs this morning...I could not tear myself away. I loved the descriptions of the venerable agency's refusal to enter the digital age; I loved Joanna's vulnerability and youth; I love the descriptions of New York in the 1990s; I loved her awful, fake-Communist, arrogant boyfriend; I love imagining a boss smoking cigarettes in her large office; I love the way Salinger is at the edges of Joanna's story, and also centr Vivid, precise, utterly absorbing. I was reading this as I made my son scrambled eggs this morning...I could not tear myself away. I loved the descriptions of the venerable agency's refusal to enter the digital age; I loved Joanna's vulnerability and youth; I love the descriptions of New York in the 1990s; I loved her awful, fake-Communist, arrogant boyfriend; I love imagining a boss smoking cigarettes in her large office; I love the way Salinger is at the edges of Joanna's story, and also central to it in this very sly and meaningful way. It made me want to revisit his work. A love letter to literature and New York, clear and candid self-exploration, funny and moving at the same time... This memoir is really special to me. It may not be the page-turning, stay-up-all-night-to-finish story, but Joanna Rakoff's writing draws me into her world in a rare soothing way, like how cuddling up with a blanket in front of a fireplace during a New York winter would be like. Although I've never experienced either winter at home, a fireplace warmth, or even New York. But I'm prett A love letter to literature and New York, clear and candid self-exploration, funny and moving at the same time... This memoir is really special to me. It may not be the page-turning, stay-up-all-night-to-finish story, but Joanna Rakoff's writing draws me into her world in a rare soothing way, like how cuddling up with a blanket in front of a fireplace during a New York winter would be like. Although I've never experienced either winter at home, a fireplace warmth, or even New York. But I'm pretty sure Joanna Rakoff's memoir embodies that. "Lately, I'd been coming in earlier and earlier to bask in the cool quiet of the office. Sometimes I caught up on work. Sometimes I just sat at my desk and read, drinking coffee and slowly unpeeling a sticky bun from the ersatz Italian market in Grand Central. Sometimes I worked on poems, typing them up on my Selectric." Anyone who knows me well knows I have been dreaming of becoming a writer since I could read my first book. A job in the literary industry, whether a publishing or an agency one like Rakoff's, sounds like the dream job for me while I practice my writing. It's so exciting and I'd get to make a lot of excellent connections. Unsurprisingly then, Rakoff's experience paints a lovely picture of such a job and I want it even more. But we both know that we want more and, definitely for her and hopefully for me, are meant for more. I love that she doesn't view her job as the job from hell - so many of such 'personal assistant office job' novels and movies like The Devil Wears Prada make it seem like these jobs can only be a nightmare, or at least, only entertaining as a nightmare. Rakoff reminds us that there's a quiet, focused rhythm in an office, establishing friendly special connections with the same few people you know well every day. "On Bedford Avenue, other people like me - young men and women in retro office wear, heading to jobs at film production companies and graphic design firms and recording studios - were sleepily converging on the sidewalk, blinking beneath their Navy safety glasses and round schoolboy frames, messenger bags slung across their chests." She creates a beautiful New York with its people intimately connected wordlessly, crossing paths in an almost surreal way in their daily habitual activities. Rakoff writes colourful, interesting characters too, especially her boss. I can't stand Don on countless occasions, but he's definitely portrayed uniquely and I don't sense any bitterness from Rakoff towards him in retrospect despite the way he treats her, which allows us readers to form our own impressions. And can she write some food blog or something, because this..???? "A moment later, my gyoza arrived, lightly charred, their green skins glistening with oil ... and though I knew the dumplings were too hot, I pulled one off the neat row, biting into it. Hot oil and broth spurted everywhere and my eyes watered all over again. For days afterward, the rood of my mouth prickled with pain, but for a moment I relished the burning." "...for a moment I thought - I knew, my heart beating faster - that I was going to trip and fall down that small flight of stairs, the world around me rotating, but then I simply laid my hand on the railing, steadied myself, and continued down." I can't end this review without talking about Salinger. Indeed I love Salinger - he's one of my favourite authors, and though I have many, he's definitely special. To me, he has a constant warm presence throughout this book, even when he's not actually mentioned. Besides his influence on Rakoff, encouraging her to be honest to herself, I feel that his mysterious quality complements the quiet and intriguing warmth that makes Rakoff's New York so attractive. Like many others have said, you don't have to LOOOOVE Salinger to like Rakoff's book. Many of the scenes concerning Salinger are so funny! I have a hard time imagining him in the way Rakoff describes him, but I probably feel that way for every single person whom I admire but have not met. I think if you do feel a connection to Salinger, you should most definitely read this book. Much to my surprise, I loved this book. It captures what it's like to be young and directionless in New York so well. Granted, I never lived in Brooklyn with my faux-Communist boyfriend or walked in on a roommate shooting up, and I've only been to one NYC party that could have been featured on Girls - but somehow, I really connected with Joanna and was completely drawn into her story. The best memoirs read like novels, and that's true of this book too. I loved the writing and the narrative (how y Much to my surprise, I loved this book. It captures what it's like to be young and directionless in New York so well. Granted, I never lived in Brooklyn with my faux-Communist boyfriend or walked in on a roommate shooting up, and I've only been to one NYC party that could have been featured on Girls - but somehow, I really connected with Joanna and was completely drawn into her story. My Salinger Year is a book in the vein of The Best of Everything: a book ostensibly about publishing that is really about being young and wanting to do something larger than what's available to you--but wondering if that is the right decision to make. Rakoff's book took me right back to my first few years working in publishing. Her descriptions of the time and place are perfect. I visited that Williamsburg apartment! I know that agent who wouldn't allow computers in the office! It all rings incr My Salinger Year is a book in the vein of The Best of Everything: a book ostensibly about publishing that is really about being young and wanting to do something larger than what's available to you--but wondering if that is the right decision to make. Rakoff's book took me right back to my first few years working in publishing. Her descriptions of the time and place are perfect. I visited that Williamsburg apartment! I know that agent who wouldn't allow computers in the office! It all rings incredibly true and beautifully detailed. But make no mistake, this book is not about J.D. Salinger. Not really. It’s about Joanna Rakoff, but it could be about any young woman, straight out of college, naïve and wishful, striving to get in touch with what’s authentic and what’s real. For Ms. Rakoff, that means taking a job with sub-standard pay at a literary agency called the Agency – although just a little bit of Googling reveals that the Agency is Harold Ober Associates, a venerable agency that represented J.D. Salinger. There she worked for Phyllis Westberg (referred to as “my boss”) who fiercely protected his privacy and his legend. Young Joanna, living with her socialist would-be writer boyfriend, Don in a dumpy Wiliamsburg apartment, spends her days on her Selectric and Dictaphone…right at the time when more forward-thinking agencies have invested in computers. One of her tasks is to respond to J.D. Salinger’s many fervent fans through an Agency form letter; quickly, she abandons that practice and surreptiously begins writing her own heartfelt responses. That’s not just a description of Franny. It’s an apt description of Joanna Rakoff. Indeed, these are sentences that can apply to each of us. This is a simply wonderful book, a book that’s custom-made for every aspiring writer, every passionate reader, and every dreamer who wants to face the world on her own terms. Firstly: this is a memoir. This might seem like a fairly obvious fact given that the blurb clearly says it's a memoir, but somehow, until I read the author's introduction, I remained convinced that it was at least partly a fictionalised version of reality. In a way, I was right. While it's autobiographical, it is written in a very novelistic style. Secondly: call it a 3.5, but I'm in a good mood and this was a charming book so it gets four stars. My Salinger Year is Joanna Rakoff's account of he Firstly: this is a memoir. This might seem like a fairly obvious fact given that the blurb clearly says it's a memoir, but somehow, until I read the author's introduction, I remained convinced that it was at least partly a fictionalised version of reality. In a way, I was right. While it's autobiographical, it is written in a very novelistic style. My Salinger Year is Joanna Rakoff's account of her first job in a New York publishing agency. It's 1996, and the Agency (as it is always called), with its old-fashioned offices, boozy lunches and a single computer which all the staff share, is stuck in the past in a world that's rapidly moving on. However, Joanna is caught up in the romantic appeal of the place, and it does have one big thing going for it: the Agency represents J.D. Salinger. In a year that sees Salinger engage a tiny publishing house to print a new edition of one of his lesser-known stories, Joanna is tasked with answering his extensive, emotion-filled backlog of fan mail. Writing to impassioned Salinger fans, she quickly abandons the Agency's reply-by-numbers and starts sending personal messages; this act proves to be a kind of catalyst for a further examination of her situation in life, friendships (and the differences between her and those friends), relationship with a rather distant lover, and career ambitions. All in all, this is a coming-of-age story, albeit an unusually literary one. This being a record of things that happened in real life, it can occasionally lack the dramatic resolutions a fiction-accustomed reader might crave. I longed for Joanna to end her relationship with the increasingly horrible Don - to actually confront him about his cheating and sexist opinions, to stop supporting his attempts to get published - and although she did eventually get rid of him, it was anticlimactic and didn't feel at all like he got what he really deserved. Certain details bothered me a bit - why were Joanna's boss and ex-boyfriend always 'my boss' and 'my college boyfriend' while all the other characters had names (some of which, she says at the beginning, have been changed from their real ones)? Couldn't she have just invented names for them as well? But I have no bigger complaints, and the style remained consistently enjoyable throughout. “Salinger was nothing like I'd thought. Nothing. Salinger was brutal. Brutal and funny and precise." Rakoff's writing is not earth-shattering, but enjoyable. How cool it must be to have a small piece of history with "Jerry," no matter how erratic and reclusive. This really makes me want to read Salinger again soon. I’ve read Catcher in the Rye several times, though not for a dozen or so years. I can't actually recall that much detail about the book, though it clearly made an impact on me. When he was very young, I bought a copy for my son to read – I stowed it away, knowing it would be essential reading for him at some point. So when I spotted this book and sensed an opportunity to learn more about the famously reclusive author it was a no-brainer for me, I had to read it. Set in 1996, it's a memoir written I’ve read Catcher in the Rye several times, though not for a dozen or so years. I can't actually recall that much detail about the book, though it clearly made an impact on me. When he was very young, I bought a copy for my son to read – I stowed it away, knowing it would be essential reading for him at some point. So when I spotted this book and sensed an opportunity to learn more about the famously reclusive author it was a no-brainer for me, I had to read it. Set in 1996, it's a memoir written by a young aspiring poet as she commences work for the first time, after completing her English studies. The literary agency she’s employed by (Harold Ober Associates, though it’s not identified in the text) is an old fashioned concern which just happened to have Salinger as a client. Not only does the book track a year in the employ of this earnest and dimly lit establishment, it also documents Joanna’s relationship with her Marxist, live-in boyfriend. - Joanna’s boss (never named but Google advises it was Phyllis Westberg) was strict, technology averse and hugely protective of her star client. It was fun to hear tales of office life and meet the various characters sharing this space. - One of Joanna’s key tasks was to manage the flow of mail addressed to Salinger and this was one of the most interesting elements. As nothing was to be forwarded on, the task of reading the letters and in sending a profoma response became ever more taxing, culminating in rebellion as she occasionally ignored policy and sent her own personalised response. It was a classic dilemma: Salinger just didn’t want any contact with readers of his work, yet the work itself spoke to its readers in a fashion that compelled them to want to communicate with the author. - The relationship with her boyfriend was far from perfect. I spent most of the book wishing just just ditch the guy and move on to somebody better. Actually, I found the relationship to be nicely observed. - Above all, I just envied the every day closeness to books and to the craft of writing. The fact that access to Salinger himself was limited did not bother me too much. He was always present here, even if not physically. -	Why did you stick with the boyfriend so long? -	How come you worked in the office and in proximity to Salinger for eight months before you took it upon yourself to break your duck and read some of his work? But this is nitpicking, really. I enjoyed my time with this book. I’d also have happily followed Joanna as she embarked on the next chapter of her life – I wanted to know (in more detail) what happened next, why and what she felt about it. The final recommendation – and a stated aim of Joanna’s – is that I’ve ordered a set of Salinger short stories, new to me; I have an renewed appetite to experience more of Salinger's work. I’m also planning to dust of my ancient copy of ‘Catcher’, it's time to renew my acquaintance with Holden Caulfield. Oh, I am skimpy with 5 star reviews and I am not a big memoir reader. But I was so caught up in this book. For literature lovers it's a lovely and romantic look at the life of an assistant at a big literary agency whose boss represents J. D. Salinger. Even better, at the time Rakoff had never read any Salinger at all, so you get to see him through fresh eyes. Her own life is a little lost. She has a boyfriend, Don, a socialist would-be novelist who is the kind of boyfriend you have in your early Oh, I am skimpy with 5 star reviews and I am not a big memoir reader. But I was so caught up in this book. For literature lovers it's a lovely and romantic look at the life of an assistant at a big literary agency whose boss represents J. D. Salinger. Even better, at the time Rakoff had never read any Salinger at all, so you get to see him through fresh eyes. Her own life is a little lost. She has a boyfriend, Don, a socialist would-be novelist who is the kind of boyfriend you have in your early 20's who is your boyfriend because he is different and interesting and unusual and not because he treats you particularly well. She wants to be a writer, and while most people would be happy to stay in her position as an "in" to the literary world, she doesn't really know what she wants. Rakoff's writing transports you into her life completely. I had trouble putting it down. And when she finally reads Salinger's work, I was thrilled to get to experience them fresh through her. The big picture of My Salinger Year is an enjoyable read: Fresh from dropping out of Grad School, Joanna Rakoff moves to NYC, falls in love with an older, Socialist wanna-be writer, and lands her first grownup job. Over the next year, Rakoff is forced to examine who she is and who she wants to be, and like all of us, makes that painful transition into adulthood. Because the year is 1996, Rakoff is also able to capture a time right on the cusp of going digital -- which was particularly momentous The big picture of My Salinger Year is an enjoyable read: Fresh from dropping out of Grad School, Joanna Rakoff moves to NYC, falls in love with an older, Socialist wanna-be writer, and lands her first grownup job. Over the next year, Rakoff is forced to examine who she is and who she wants to be, and like all of us, makes that painful transition into adulthood. Because the year is 1996, Rakoff is also able to capture a time right on the cusp of going digital -- which was particularly momentous in the publishing industry where she worked -- and this lends her story a sheen of historical importance. All of this is good stuff. Before I'd moved to New York, it seemed as though everyone was there, playing cockroaches in experimental plays, or making broody films at Colombia, or working at galleries, or teaching dance to the poor kids in Brownsville or to the rich kids at St. Ann's. Yeah, that's what everyone I know was doing. But Rakoff takes a job as an assistant to a literary agent -- and she refers to them throughout only as "my boss" at "the Agency", but apparently everyone knows it's Phyllis Westberg at Harold Ober Associates -- and Rakoff spends her days listening to a Dictaphone through oversize headphones and typing out letters on a huge, humming Selectric (and how hipster is that?) Fairly quickly, Rakoff learns that J. D. Salinger -- or Jerry as they call him -- is her boss' number one client, and to her alarm, she must speak to the near deaf author on the phone (which is pretty funny), and eventually, to send off form letters to people who send him fanmail (which is pretty touching since the form letter states that Mr. Salinger requests that nothing be sent on to him). This old fashioned agency, with its leather chairs and shaded lamps, is contrasted nicely with the fluorescent lights and white cubicles of the textbook publisher where Rakoff's friend works, and even though the friend calls the agency funereal, it's easy to see the appeal it had for Rakoff -- even the people are old-fashioned, with courtly manners and ivory cigarette holders. Salinger was not cutesy. His work was not nostalgic. These were not fairy tales about child geniuses traipsing the streets of Old New York. Salinger was nothing like I'd thought. Nothing. Salinger was brutal. Brutal and funny and precise. I loved him. I loved it all. Something about this -- as though Rakoff had discovered Salinger on behalf of all of us -- just turned me off, and here's my biggest complaint of all: as someone who actually met Salinger, as someone who intimately knew how the man valued his privacy, there's a whiff of betrayal in her memoir. Rakoff recreated here some of the most emotional fan letters that passed through her hands, told of a Salinger book deal gone sour, even described that his flannel shirt and jeans both looked pressed, his hands warm and large -- I think that these are precisely the kind of details that Salinger became a recluse to avoid disclosing. This wouldn't be a best-seller without "Salinger" in the title (even though this book isn't really about him and has plenty of merit on its own) and that feels cheap to me. Even the treatment of her boss (and the revelation of her private affairs) had a gossipy The Devil Wears Prada vibe. The ending -- thirteen years after leaving the Agency, Rakoff learns of Salinger's death -- was redemptive, however, and I was invested enough in Rakoff to be glad to hear that her own story seems to have worked out okay. This is a very readable, entertaining and interesting memoir giving an intriguing window into J.D. Salinger and his work. 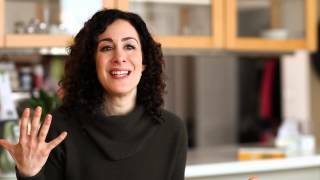 I loved the writing style Joanna Rakoff used to share a year in her life working as an assistant at a literary agency in New York. It was very rhythmic and heart felt. I listened to the book as an audiobook; the narrator was the author; she did a really good job. Because I edit and assist an author (J.A. Wells) publish his works, I have an interest in all the facets of publis This is a very readable, entertaining and interesting memoir giving an intriguing window into J.D. Salinger and his work. I loved the writing style Joanna Rakoff used to share a year in her life working as an assistant at a literary agency in New York. It was very rhythmic and heart felt. I listened to the book as an audiobook; the narrator was the author; she did a really good job. In ihrem Roman “Lieber Mr. Salinger” erzählt Joanna Rakoff davon, wie sie im Jahr 1996 nach New York kommt, mit ihrem Freund in eine Wohnung zieht, die eher die Bezeichnung “Bruchbude” verdient und vor allem wie sie ihren ersten Job in einer Literaturagentur antritt. Vollkommen ohne Erwartungen und breitere Kenntnisse fängt sie als Assistentin der Chefin der Agentur an und verbringt die meiste Zeit damit, Briefe abzutippen – auf einer Schreibmaschine, da die Agentur sich noch nicht digitalisiere In ihrem Roman “Lieber Mr. Salinger” erzählt Joanna Rakoff davon, wie sie im Jahr 1996 nach New York kommt, mit ihrem Freund in eine Wohnung zieht, die eher die Bezeichnung “Bruchbude” verdient und vor allem wie sie ihren ersten Job in einer Literaturagentur antritt. Vollkommen ohne Erwartungen und breitere Kenntnisse fängt sie als Assistentin der Chefin der Agentur an und verbringt die meiste Zeit damit, Briefe abzutippen – auf einer Schreibmaschine, da die Agentur sich noch nicht digitalisieren möchte. 1996 kommen Computer erst in die Mode. Das Besondere an dieser Geschichte ist aber die Tatsache, dass diese Literaturagentur den berühmten Autor J.D. Salinger vertritt. Joanna hat selbstverständlich schon von seinen Werken gehört, aber noch keines davon gelesen. Erst als sie selbst am Telefon ein wenig ins Gespräch mit dem Autor kommt und vor allem als sie seine Fanpost von zahlreichen begeisterten Lesern liest, merkt sie, wie besonders dieser Autor ist. Genau wie Joanna erging es auch mir: als ich ihre Geschichte gelesen habe, waren mir die Werke Salingers vollkommen unbekannt. Selbstverständlich sind mir der Autor und vor allem der Titel seines bekanntesten Werkes “Der Fänger im Roggen” (“The Catcher in the Rye”) ein Begriff, aber bisher habe ich es tatsächlich noch nicht gelesen. Da besteht ohne Frage großer Nachholbedarf, dem ich nun umso mehr nachgehen möchte. Aufgeteilt in die vier Jahreszeiten, liefert Joannas Geschichte nicht nur einen spannenden Einblick in das Leben in New York, welches alles andere als leicht ist, wenn man als Berufsanfängerin und mit nur einem Assistentenjob kaum etwas verdient. Es ist fast schon zu schade, drei viertel des mickrigen Gehalts in die Miete einer winzigen Wohnung ohne Spülbecken und Heizung zu stecken oder sich am Tag nur von Äpfeln und Kaffee zu ernähren, weil das Budget nicht mehr zulässt. Doch nebenbei bekommt man als Leser auch einen wunderbaren Einblick in die Abläufe einer Literaturagentur und das Geschehen in der Literaturwelt an sich. Knapp zwanzig Jahre befinden sich zwischen dem Erzählzeitpunkt im Roman und der heutigen Gegenwart – und doch scheinen sich viele Dinge nicht groß verändert zu haben; an anderen Stellen gibt es dafür gewaltige Unterschiede. 1996 befinden wir uns vor allem mitten im Wandel zur Digitalisierung – Computer kommen so langsam aber sicher in die Mode, in den ersten Büros werden ausschließlich E-Mails versendet, Recherchen werden zunehmend mit Hilfe des Internets – in welches man sich aber erst einwählen muss, getätigt und Briefe, Verträge, Manuskripte können mittlerweile fotokopiert werden, statt sie mehrmals mit der Schreibmaschine abzutippen. Diese Einblicke fand ich unheimlich spannend, auch wenn ich diesen Wandel schon gut selbst mitbekommen habe. Das Spannendste aber an der gesamten Geschichte ist, wie man förmlich sieht, wie sich Joanna in der Zeit weiterentwickelt, wie sie erwachsener zu werden scheint. Die Arbeit und die vielen Erfahrungen, die sie während dieser zwölf Monate sammelt, verändern nicht nur ihr Verhalten, sondern auch ihren Charakter, ihre Denkweise. Dabei spielen immer mehr die Briefe von den Lesern Salingers und auch seine Werke selbst eine große Rolle. When I was finally convinced that the book wasn't about Salinger and decided to pick it up I loved it!! I don't know that I would call this great literature that will change your life but it's completely charming and thoroughly entertaining. Rakoff has a great voice and I could have read about her life experience for many more years than her one at the literary agency where JD Salinger was a client. (Judy Blume was a client as well - too bad it wasn't her Blume year because I'd have bought that book in a heart beat.) Salinger actually does figure into the book and comes out sort of like a lovable old codger who can't get her name straight on the phone but tells her to keep writing. I read more fiction than nonfiction, but quite often when I read memoirs they tend to recount the challenges, tragedies, or dysfunction that the authors have experienced or overcome. That's one of the reasons I found Joanna Rakoff's My Salinger Year so refreshing. In the late 1990s, Joanna takes her first "real" job post-graduate school, as the assistant to the main agent at a prestigious literary agency. For years, "the Agency" has been a lion in the literary world, represents some true legends, I read more fiction than nonfiction, but quite often when I read memoirs they tend to recount the challenges, tragedies, or dysfunction that the authors have experienced or overcome. That's one of the reasons I found Joanna Rakoff's My Salinger Year so refreshing. In the late 1990s, Joanna takes her first "real" job post-graduate school, as the assistant to the main agent at a prestigious literary agency. For years, "the Agency" has been a lion in the literary world, represents some true legends, including "Jerry," aka J.D. Salinger. Yet the agency seems mired in the past, shunning the use of modern technology (correspondence is still typed on typewriters rather than computers), and its old school approach leaves it vulnerable. For Joanna, who dreams of becoming a poet, day after day of typing up dictated letters from her boss isn't entirely challenging, and she hopes to be given the chance to read manuscripts and perhaps someday discover the next great author. "I did, desperately, want to be part of the Agency, more than I had wanted anything in ages, and without really understanding why—I had to relinquish some semblance of myself, my own volition and inclinations." One of Joanna's responsibilities is to respond to the enormous number of fan letters Salinger receives daily. People of every age and walk of life write to Salinger, asking for advice, for validation, for support, and bare their hearts, telling him how much his books have meant to them. Having never read any of Salinger's books, she doesn't quite understand why people are so affected by his writing. Joanna is supposed to send a form letter explaining that Salinger doesn't want to see any of his fan mail, but she is so moved (and in some cases, perturbed) by these letters that she takes it upon herself to respond to some of them on her own. Meanwhile, Joanna struggles with her own love life, torn between her Socialist boyfriend, an aspiring writer and boxer who doesn't quite show her the love she deserves, and her college boyfriend, whom she left without warning. She also is forced to confront financial realities after being taken care of by her parents for so long. As she waits for her literary dreams to come true, she wonders what her future holds—both within the Agency and in life. Salinger had not always been Salinger. Salinger had once sat at his desk, trying out what made a story, how to structure a novel, how to be a writer, how to be. I think this book is ultimately for people who love J.D. Salinger, not just his work, but who he was as a person. It's not just a book you read because the synopsis sounds interesting, it's more than that. It's a book written for people who love books, for people who need to turn off the world sometimes, for people who are extremely lost Salinger had not always been Salinger. Salinger had once sat at his desk, trying out what made a story, how to structure a novel, how to be a writer, how to be. I think this book is ultimately for people who love J.D. Salinger, not just his work, but who he was as a person. It's not just a book you read because the synopsis sounds interesting, it's more than that. It's a book written for people who love books, for people who need to turn off the world sometimes, for people who are extremely lost in their own lives but still trying to make something out of it. I lived through that era of office environments, and I can relate to the fact that various offices adopted new technology at different rates. One of the things I was reminded of by this book was smoking in the office. How did we all survive those years when smokers were free to pollute the office atmosphere with their smoke. Thank God those days are over. It so happens that one of the clients of the Agency is J.D. Salinger, referred to in the office as Jerry. One of the author's jobs is to answer fan mail sent to Salinger who has left strict instructions to return all mail to the senders. She is instructed to do this with a form letter, but she's an aspiring writer and turns this into an opportunity of use her creative skills to prepare custom written replies and advice to the letter writers. She thus becomes a self appointed advice columnist to the letter writers, many of who have found a kindred spirit in J.D. Salinger's writing. When she finally gets around to reading the Salinger books she becomes emotionally immersed in them, and includes in this book a verbal montage of Salinger's published works. I'm not a fan of Salinger's writing so I'm not able to fully appreciate what she has done in her description of Salinger's books. Nevertheless, I can imagine Salinger fans thoroughly enjoying this part of the book. She ends up becoming something of a telephone acquaintance of J.D. Salinger's because of his frequent calls to the office. The author describes how the Agency almost managed to have a last book published by Salinger, but the project ended up being aborted when the publisher talked to a newspaper reporter who he thought was his friend. The author's living situation, boy friends, and social life are part of this book too. It is because of this part of the book that I use the term "coming-of-age of a twenty-four year old." She is sort of mixed up in her own life, much like the characters in Salinger's books. The author manages to turn the story into something of a neo-Salinger book that explores the angst of making early romantic and career choices which will significantly effect the rest of the author's life. As an older reader I'm tempted to be critical of some of her life choices that seem to guarantee her being unhappy. But we all live with our own life choices. Her choices led to this book which is more than can be said of my own life choices. I guess I'm too happy and contented to be a writer. Is it possible to be happy and a writer at the same time? In the The Bell JarSylvia Plath told the story of women in publishing, 1950's style, personal and professional. In this book Joanna Rakoff tells the story, 1990's style, personal and professional. While their venues are different, both are overqualified glorified secretaries. Both are seeking love. Rakoff and her "suitors" have greater knowledge of one another, less parental interference, but not much more satisfaction. Rakoff shines in her description of "The Agency" and its staff. More companie In the The Bell JarSylvia Plath told the story of women in publishing, 1950's style, personal and professional. In this book Joanna Rakoff tells the story, 1990's style, personal and professional. While their venues are different, both are overqualified glorified secretaries. Both are seeking love. Rakoff and her "suitors" have greater knowledge of one another, less parental interference, but not much more satisfaction. Rakoff shines in her description of "The Agency" and its staff. More companies and offices than wish to be counted today were like Rakoff's "Agency" in their slow adaptation to photocopiers (too expensive, unreliable, inelegant) and computers (for all the reasons Rakoff's boss gives and more). Many retired when computers were introduced rather than face the changes, so I wasn't "shocked" by the typewriters nor the stuffy aura described. At the end of this year, there are signs that the "Agency" is getting with it, but the damage had probably been done. Salinger provides a framework for the narrative and probably the sales for the book. His famous reclusiveness and the "Agency's" role in it are nicely drawn. He is one of several of the striking human interest portraits drawn. In reading J.D. Salinger: A Life Raised High I became aware of his war experience which included the Battle of the Bulge, the Normandy campaign, liberation of a concentration camp, the loss of Jewish relatives he had summered with, the interrogation of POWs, and translation for post-war intelligence and counterintelligence. He had to have been a PTSD sufferer. With this (and other background) I tried (again) to read his fiction. My opinion was well expressed by Rakoff on p. 38. She later expresses a whole different interpretation that may fit with the author' life experience. I feel the urgent need to reread "Franny and Zooey" and "The Catcher in the Rye". Joanna Rakoff's novel A Fortunate Age won the Goldberg Prize for Fiction, and was a New York Times Editors' Choice, an Elle and Booklist Best Book of 2009, and a San Francisco Chronicle Best Seller. Her memoir, My Salinger Year, is a semifinalist in the 2014 GoodReads Choice Awards! You can vote for it here!